The typical pay for a heating and air conditioning specialist technician is $20.33/hr. A beginner HVAC technician is usually hired at between $2,480.27 gross monthly and $2,700 gross per month. A team leader usually earns around $3,500 gross per month. The HVAC technician salary level depends on the work, the sector of the activity and especially the conditions of work and benefits: use of the company vehicle, bonuses, etc. All these factors need to be weighed if you really want to compare salaries. Do not forget that you still have to train to be really operational and that having a few years of experience on the resume helps a lot if you want to change companies and sell your services elsewhere. But even if all these criteria are the same the skills are often different. For example, a tech who has 3 years of experience can be better than one who has 6 and earns the same salary. What you will learn is that in a lot of cases salary isn’t the most essential, because some kinds of positions will allow you to acquire the competencies and the autonomy you need to sell yourself better in the future. Therefore, you’ll be able to see your salary regularly increased according to the experience and the autonomy acquired. You’ll also need to see if your overtime is paid if your lunches are covered and if hotel packages are part of the advantages that will allow you to get a gross wage and benefits. The main fact is the experience and the autonomy are the most essential, and you will see that the salary will follow. With experience, the technician can become a team leader, a workshop manager or a sales engineer at a manufacturer. Or, the technician can create a business. When he is in charge of maintenance, the HVAC technician manages a fleet of equipment distributed over a geographical area. The HVAC technician contacts the customers in order to prepare a project and write an installation estimate. Then the HVAC technician follows with the installation of the machines. Finally, an important relationship is essential to ensure the best possible relationship with user customers. The HVAC technician, for his part, can design new HVAC equipment for the general public and industry, based on market research. In the event of a breakdown, he makes a diagnosis and replaces the defective parts. The HVAC technician also organizes the supply of equipment, planning of the work of the production teams, commercial negotiations and sale of the equipment. Independent, an HVAC technician organizes his own work. The HVAC technician must be skilled in the handling and maintenance of many highly specialized monitoring and measuring devices. Reactive and perspicacious, an HVAC technician knows how to deal with repair work without external help, especially in sensitive cases of conservation of perishable goods. HVAC technicians are found working for refrigeration equipment manufacturers or manufacturers of air-conditioning systems (heat pumps in particular) in the agro-food and chemical industries, in collective catering, in pharmaceutical and public-sector laboratories. An HVAC technician is a skilled worker that services or repairs electromechanical, electrical or electronic components of industrial equipment, complex electrical installations or transport equipment and maritime or railway equipment. 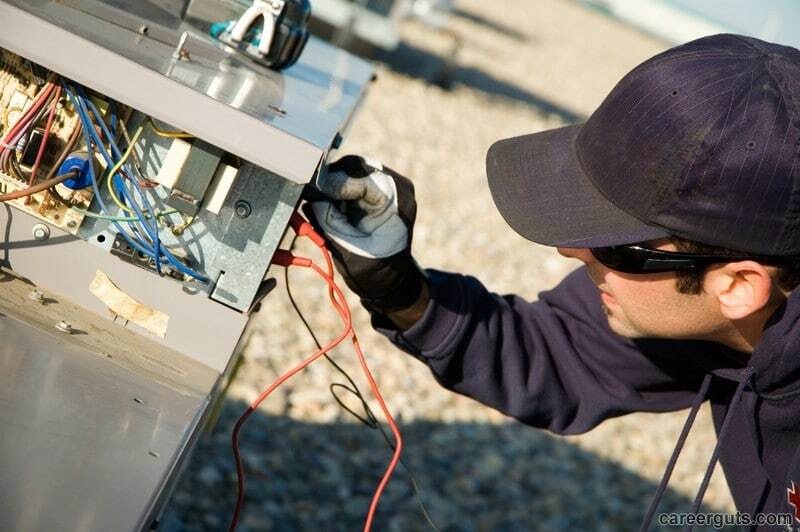 The HVAC technician ensures the correct operation and energy efficiency of HVAC installations. The HVAC technician is a maintenance or installation technician for air conditioning and refrigeration equipment and appliances: air conditioners, cold rooms, refrigerators, etc. The HVAC technician’s main customers are the large distributors, but an HVAC technician can also intervene on an occasional basis for individuals. He can also perform troubleshooting for thermal installations. The HVAC technician can work both on the air conditioning and on refrigerators. Knowing electricity, electronics and IT, he still has a manual craft that requires know-how. The HVAC technician can also specialize in refrigeration. 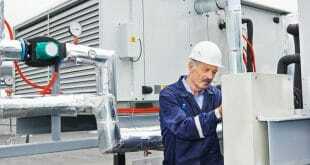 The HVAC technician can then create, install or maintain refrigeration equipment. He can then work on different refrigerated systems: refrigerators, cold rooms, refrigerated trucks, refrigerated showcases or air conditioning. When an HVAC technician is in charge of the installation of the equipment, the technician accompanies the customer and makes an estimate of installation before following the manufacturing process and the installation of the system in question. This includes both maintenance and troubleshooting of equipment. The practice of this profession can also lead to the maintenance of machines. 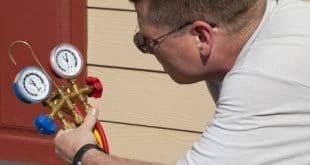 The HVAC technician then studies the installation plans, identifies the problem and is responsible for replacing the defective parts or making the necessary adjustments. The HVAC technician can also be in charge of the creation of new systems or the improvement of existing equipment, this work is generally done in the design office as opposed to installation and maintenance. To practice this profession, it is essential to love manual labor, the majority of the tasks are assembling, dismantling or repairing equipment. Previous What Is An HVAC Technician? Next What Does An HVAC Technician Do?